Must Read! PetWill News Has The Best Articles About Pets. Funding your PetWill Pet Trust can be a great experience because you know your pets wil be taken care of. Establishing a trust is one of the most important things you can do for your own life and of course for your pets. A trust is simply a legal agreement to transfer assets between parties. A trust appoints a trustee who is empowered to direct the trust assets s to the beneficiaries of the trust, in accordance of the wishes of the person who has created the trust. A PetWill Pet Trust is a type of standalone trust designed specifically to benefit the pets of the Trustmaker (the person creating the Trust). Your pets are part of your family. We want to protect those we love. A PetWill Pet Trust can protect your pets in the event of your disability or death, but what if your pet becomes the victim of a natural disaster? Do you have a disaster plan for your pet? 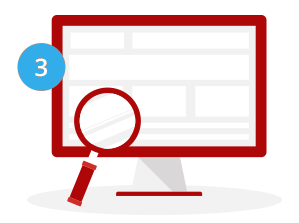 The PetWill Pet Profile is the answer. When you create a PetWill Pet Trust, you’ll complete an Online Pet Profile for each of your pets. This Pet Profile is assigned a unique web address. The web address is engraved on a personalized pet tag that your pet can wear or be attached to a stall door or cage. This Pet Profile is available online, 24/7 in the event of an emergency and can be accessed anytime on any device with an Internet connection. 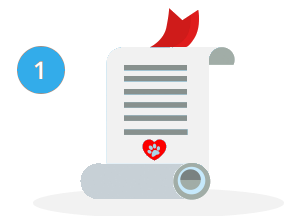 In addition, the Pet Profile can be printed, kept with your other important papers and be available to provide emergency personnel or pet caregivers with the information they need to provide proper care for your pet, including contact information for you, your pet guardians, your pet’s vet and critical medical information. Store your PetWill Printable Pet Profile that has this information in a safe place, even on your refrigerator, taped around your window, or wall so it may be easily discovered by first responders or concerned neighbors. People buy life insurance to protect those they love to be sure that their kids are able to attend college, or that their families can remain in their home and neighborhood in the event of their untimely passing. Life Insurance can have many uses; you can even use life insurance to be sure that your beloved pets will be well taken care of if your pets outlive you. Can life insurance money be left for your pets? Who’s the #1 person in your life? Is it your spouse, your kids, your cat, your dog, or your horse? Who would you want to take care of if something unexpected happened to you? People that buy life Insurance do so because they love other people or their pets. They want to protect those they love because life demands money and your loved one's bills don't stop. During an emergency if something has happened to you and you are no longer able to be there for those you love, whether two legged or four-legged, life insurance can provide much needed cash and assistance for your loved ones. The most important thing you can do for your pets is to protect their future by getting a PetWill. You would never let your kids drive with you in a car without their seatbelts. And you shouldn't have pets without a PetWill. As far as the law is concerned your pet is nothing but property. If you are no longer able to care for your beloved pet, who will? 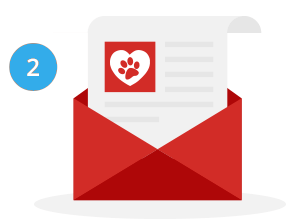 PetWill is the simple, fast and affordable way to allow you to make sure your wishes about your pet's care are handled should you not be able to be there for your pet. When you have a heart for animals, it's natural to want to help and support the organizations that help and support pets. In fact, CharityNavigator estimates that Americans donate almost $7.9 billion to animal and environmental causes annually. However, an additional $1.5 billion goes to those same causes each year through bequests, illustrating that charitable giving can continue on even after you pass away. It is reported that over 95% of people consider their pets as part of their family. So, it’s natural to want to provide for them in the same way we might provide for another family member. In some ways our pets are children who never grow up. They will never be able to support themselves. They will never live independently. They will require our love and care for their whole lives. And in return, they offer us their unconditional love and a lifetime of memories. Today, with the Humane Society estimating that close to 80 million U.S. households have pets, and nearly all of those pets are considered part of the family, it is no longer just the financial elite who are the only ones leaving funds for pets. Trust funds for pets and money set aside in bank accounts for pets are becoming more and more mainstream, and the legal system has gotten better about recognizing and enforcing them.